Justin Dennis is the author of Through the Portal and The Phoenix Glove, the first two books in a young adult fantasy trilogy. He is currently going to college in California and writing the last book in the Trilogy. He's also an experimented smartphone user and went from a Samsung Galaxy S III to an LG Nexus 4. The change wasn't without glitches, so read on to see if the Nexus 4 is for you! 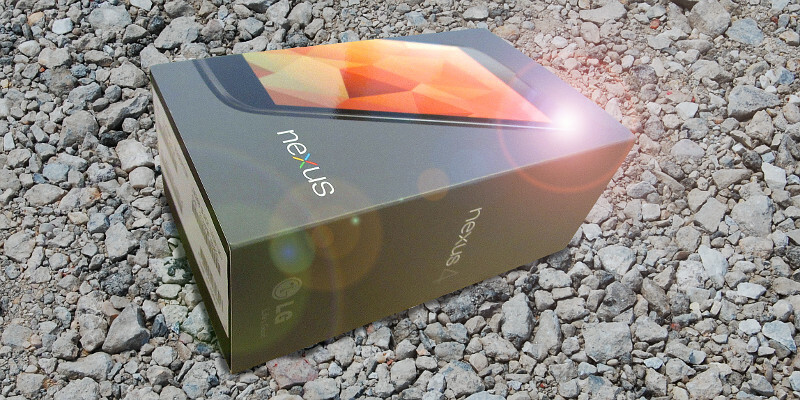 Thinking about getting Google and LG's shiny new Nexus 4? Well, here's an in-depth look into everything that makes that phone tick. First I'll go over the hardware, then the software. A few notes here: not every point is equal. Some are very small annoyances and others are rather large problems. So don't just tally these up and think you have a winner. What is a small annoyance to me may be a major problem to you, or vice-versa. The checkered effect on the back looks nice. It mostly looks plain black unless it catches the light just right. The lock button is located higher than the GS3's, but the volume rocker is in the same spot, meaning I didn't accidentally hit the volume button when locking the Nexus 4 like I always do on the GS3. Heavier and thicker than the GS3 (only slightly, not very noticeable). Smaller screen despite being physically about the same size. On-screen buttons (back, home, multi-tasking) take up screen space. LCD screen looks washed out compared to AMOLED. It also felt dimmer which is strange considering all the flak the GS3 has gotten for being dim. Rubberized sides make the phone stick inside my pocket; the slick plastic of the GS3 easily slides out. The rubberized sides do make it easier to grip in the hand and makes you more sure that it won't slip out of your hand, but I seriously had trouble getting it out of my pocket because of this and that really bothered me. Taking my phone out of my pocket will happen A LOT and it was such a hassle to get out. Your mileage may vary, some people put sticky rubber cases on their phones anyway. Despite the sticky sides, the glass back is VERY slippery, and if I rested the phone on my leg it kept sliding off unlike my GS3. No removable battery or MicroSD slot. I like keeping a MicroSD card in my GS3 for extra data storage and easy large data transfers between my computer, and removable batteries means I can just carry around a few extra batteries in my backpack and never run out of juice! You have to use this little annoying tool to put in the SIM card which I know I would lose. Minor annoyance. The speaker lies flat on the back of the phone, so when the phone is lying on its back, the speakers are essentially muted. On the GS3, the camera juts out from the phone slightly, and since the speaker is near the camera, it is raised slightly off the surface and can be heard better. I usually turn my GS3 upside-down anyway when listening to music, but it also made notification noises harder to hear on the Nexus. LED is located awkwardly at the bottom of the phone (where the home button is on the GS3) and is very dim. Neither phone offers very good LED customization but I like the GS3's default LED settings better. It blinks a bright blue every 7 seconds, whereas the Nexus seems to blink a dim white every 12 seconds. No physical home button. I know that Android is trying to get rid of physical buttons for simplicity, hence the on-screen Home, Back, and Multi-tasking buttons, but I like the physical home button. It's a quick and easy way to tap your phone and have it turn on to check the time. It's also easy to hit as I pull my phone from my pocket. Hitting the side button requires a bit more effort to squeeze the whole phone instead of just a light tap. This is a small deal, and I could live without it, but I do really like the physical home button. No pointless crap appears in your notification bar when you connect to wi-fi or plug in headphones like on the GS3. That really bothered me about the GS3 and is one of the main reasons I rooted it after this experience. Photo sphere was pretty cool, although I can't think of many practical applications for it. Keyboard was awesome. Loved gesture typing: it made great predictions and worked much better than Samsung's default keyboard. I had been using a third-party keyboard to replace Samsung's (which was annoying because then Samsung pops up an icon in the notification bar to try and get you to use their keyboard) but I was happy with the default Nexus 4 keyboard. I like Google Now, but it doesn't seem incredibly useful unless you're constantly travelling, and it polls your location data way too often I think which is a slight drain on battery life. I do like it, though, and will continue to use it. Very accurate speech recognition. Google Wallet worked! I love Google Wallet and it STILL doesn't work on the GS3 -- it's just not compatible for some reason. Lockscreen is not customizable and very unintuitive (major annoyance, and I love the GS3 default lockscreen). Quick settings from the notification bar are uncustomizable (the equivalent to this on the GS3 is also uncustomizable, but I found its default options to be much better and more useful). Quick settings are only accessible by tapping a button in the notification bar; they can't stick to the top of the notification bar (like the GS3) which means no easy way to turn on/off screen rotation, gps, etc. No battery percentage in the top right corner, only a logo. This may seem like a small deal, but this REALLY bothered me. The GS3 has the option built in to display a percentage next to the battery icon, and I love that. Yes, there are apps to display battery percentage, but they can only appear on the left side of the notification bar where notifications are supposed to be, and because of that I would never use those. This was one of the major downfalls of this phone for me. Again, your mileage may vary. Clock font is small and doesn't display AM or PM. There are five homescreens and you can't delete or add any. Who the hell designed this crap? I would probably use a Launcher from the market anyway (my personal favorite is Holo Launcher HD by Mobint, but Nova and Apex are good too), but the default launcher is just terrible. Homescreen doesn't rotate to landscape. Ever. (Also a problem with the GS3, which is why I use Holo Launcher HD). If you type in the dialer, it doesn't search your contacts. Again, this may not bother some people who just go to their contacts to search, but I like to find my contacts from the dialer, thank you very much. Yes, there are third-party dialers but that's just annoying. The default dialer should be better than that. There is no pre-installed file manager. Seriously? This seems like a major omission to me. One of the best things about Android is having a file manager to manually move your files, photos, videos, and stuff around. You can download third-party file managers from the Play Store but they're annoying, have poor UIs, and/or have ads. I love the GS3 default file manager. After you finish a call, it doesn't give you options to text or call them like the GS3 does. I really like that feature and use it a lot. The on-screen buttons only disappear completely if you watch a video. If viewing pictures or something else, they become these pointless dots but still take up space on the screen. Why! Facebook does not sync pictures with your contacts. GS3 has built in support for this, although it does sync very low-quality pictures. I bought HaxSync for a dollar to use on the Nexus 4 and it did a good job of syncing high-quality Facebook photos to my contacts. So that's a viable alternative, but it should be built in. The Speedtest.net app wasn't working on the Nexus 4 when I tried it, but the HSPA+ "4G" on AT&T definitely felt slower than the GS3's 4G LTE (although the LTE in LA isn't great anyway). I ended up returning my Nexus 4 and going back to my Galaxy S3 because of these few small quirks I had with the Nexus 4 that just really irked me. However, I loved Jelly Bean so much that I ended up rooting my S3 to run Jelly Bean. That's my personal opinion, though, and the Nexus 4 is still a great phone. So there you have it, folks. If you're looking into a phone, I may or may not recommend the Nexus 4 to you. If you're looking for a phone to use off-contract, your best bet is to buy the Nexus 4 and then get an unlimited everything plan. This is a very inexpensive option in the long run because the Nexus 4 is only $300 for the 8GB or $350 for the 16GB whereas other phones like the GS3 run $600+ unlocked. If you prefer to be locked into a contract, I would suggest the Motorola Droid RAZR M if you like small phones, or the Motorola Droid RAZR HD if you really want some amazing battery life. Other options are the HTC One S, the Galaxy S3 or the HTC One X+. It all depends on your specifics needs, though, so go to a store and play around with the phone you want. I hope this helped you decide if the Nexus 4 is right for you! Comment below if you have any questions.